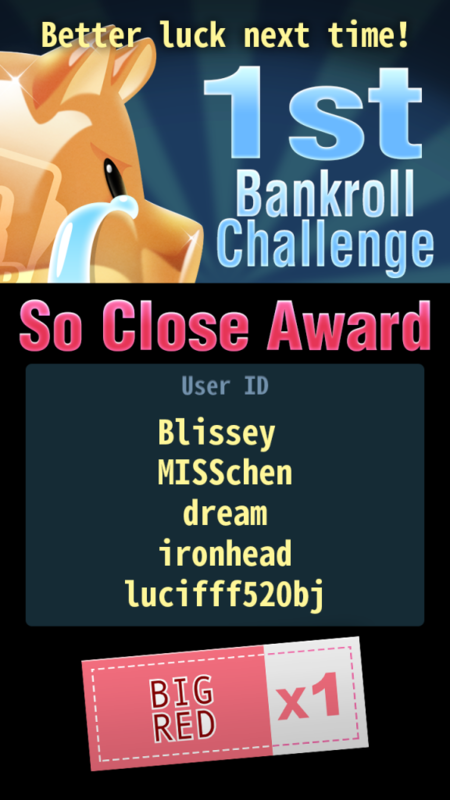 70 players applied for our 1st bankroll challenge! 3 players completed the advanced mission, and 1 player completed the basic mission. We also have a surprise for the challengers who were so close to winning. To appreciate their efforts, we decided to give ₵2,000 tickets to the most hard workers. Thanks for the efforts, all the challengers!! All the remaining VIP Points and ₵rystals of challengers have been transferred to the original accounts. GP has been added to remaining ₵rystals and transferred to the original account. 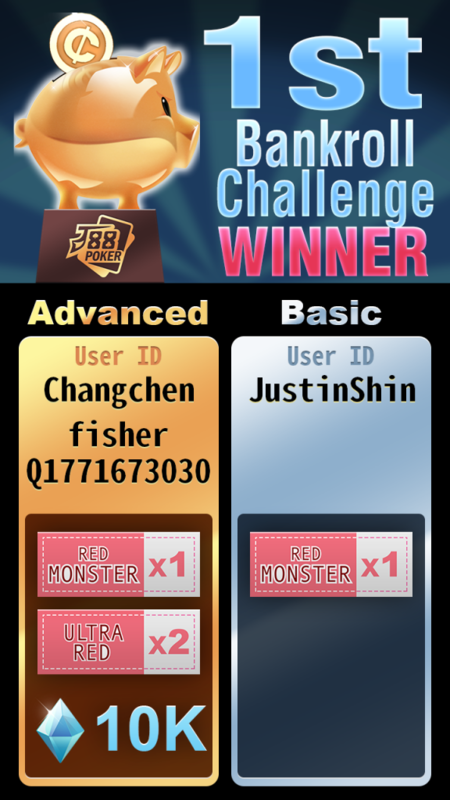 * We changed all the passwords of challenge account, so challengers are not able to use the given challenge account from now on. * VIP point progress resets to ‘0’ on the 1st day of each month. We will start “Mini Bankroll Event” which of mission is super easier from March 5th. Anyone can join it! Send your J88poker ID to support@j88poker.com to start “Mini Bankroll Challenge”.